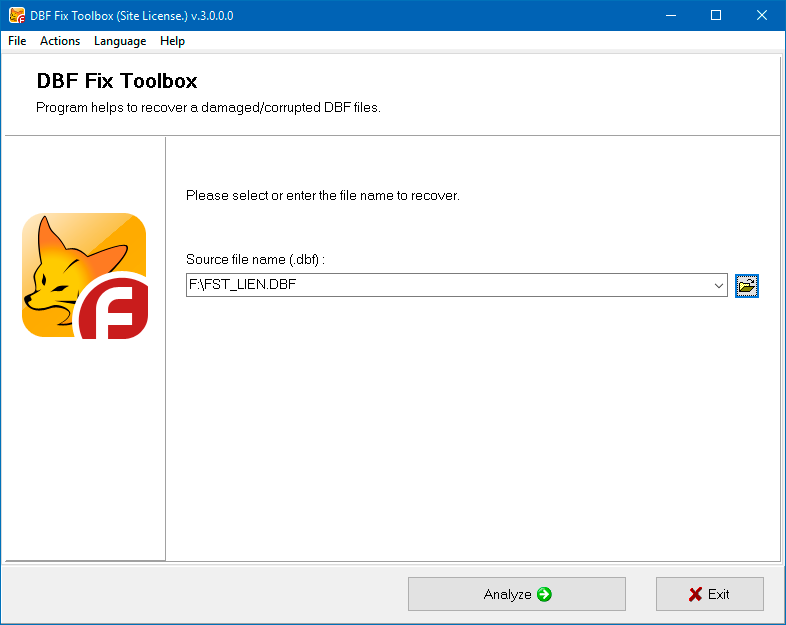 DBF Fix Toolbox is designed to recover information from damaged databases created using programs such as Visual FoxPro, FoxPro 2, dBase IV, Clipper, 1C, and others. 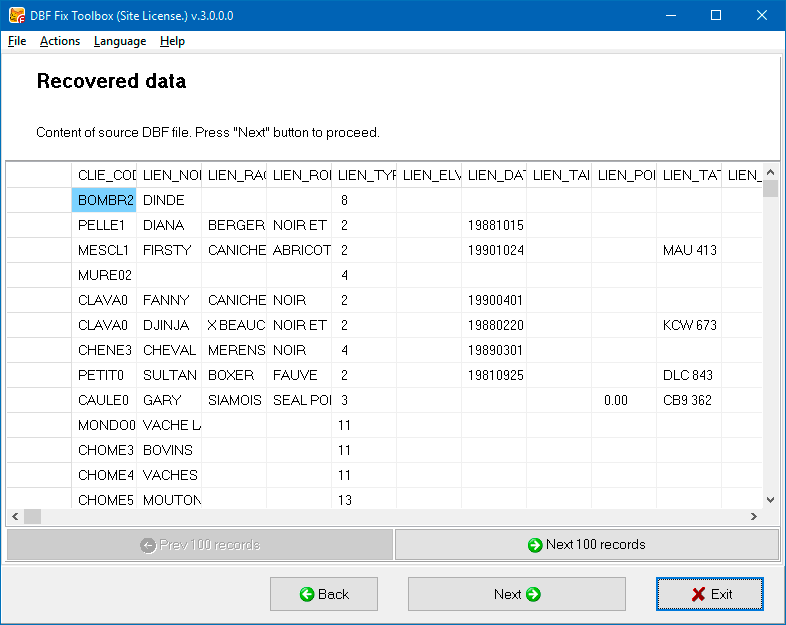 The tool uses its own intelligent analysis algorithm, which makes it very likely that you will be able to recover lost data from damaged dbf, fpt, and dbt files. 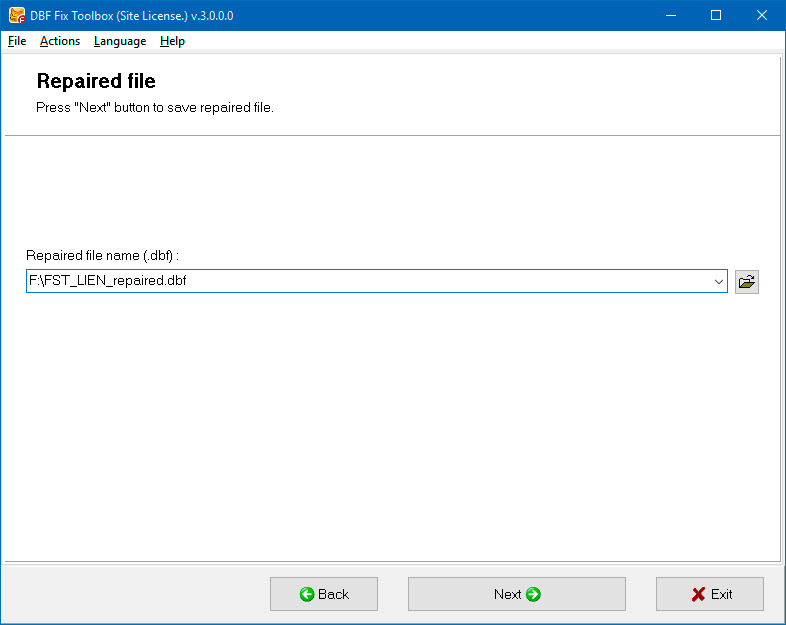 Recover records from a DBF file. Extract data from memo cells. Note: The program is not licensed under GNU General Public License (GPL) or GNU Lesser General Public License (LGPL). 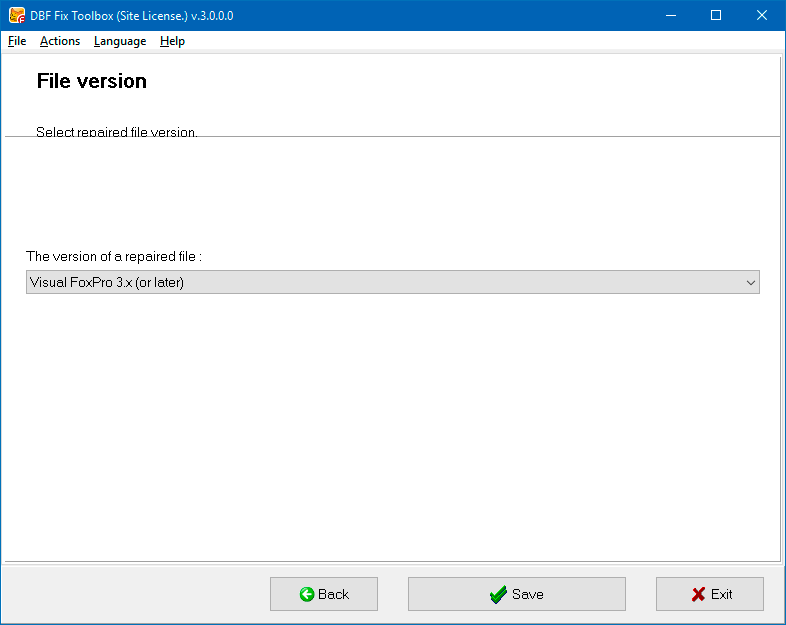 DBF Fix Toolbox is not open source software or a freeware tool. 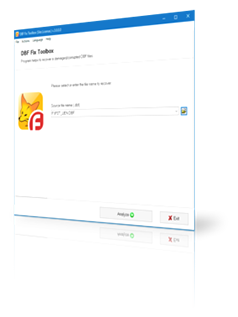 DBF Fix Toolbox is distributed on the try-before-you-buy basis with a free DEMO version. Selection of a damaged *.dbf file. Initiation of the *.dbf file analysis process, revision of the structure and content of the recovered data. Selection of an output file. Selection of the version of the output *.dbf file.